Amazingly enough there are no non-custom one-story homes for sale at the present time in our community. If you are thinking of selling and have a one-story non-custom home, this could be the best time to sell. 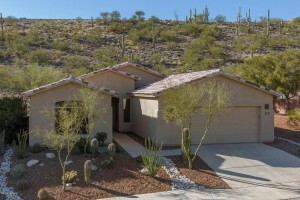 The snowbirds are in town and they find one-story homes in Sabino Mountain very desirable. 4350 N Sunset Cliff Drive just went under contract after being on the market just shy of four months; it is listed by West USA Realty. This one-story homes has almost 2,100 square feet. It last sold a little over 2 years ago for 297K. The List Price on this one is $294,900; the final price is unknown until it closes escrow. Price range 300K – 400K was stable. Price range 400K – 500K saw an 11% increase in the number of sales. Price range 500K – 800K saw a 24% increase in the number of sales. Price range 800K – 1 million was stable. Price range 1 million+ – saw a 30% decline in the number of sales. In summary, all price ranges are doing as well as the year before or better except the 1 million+ price range that is really struggling since there are so few buyers and many houses that were priced at a million + in the past years can be purchased for less. 7589 E Crested Saguaro was listed today by Long Realty for a hair under 1.3 million (to be exact $1,295,000). It originally sold for almost 1.2 million over 11 years ago and after this sale the owners added a pool and spa. It really sparkles! It boasts almost 4,800 square feet and has ridge-top and up- close – and – personal views of the high Santa Catalinas. The Retreat is a small enclave of homes behind a second gated area of Sabino Mountain. All these homes were originally built by Outpost Builders. 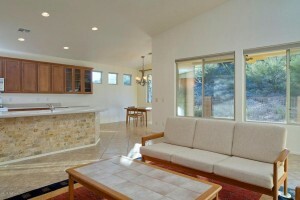 It took Long Realty 11 months to sell 4231 N Sunset Cliff Drive. The beginning List Price was 380K and the final List Price is 315K; it will not be known what the final Sales Price will be until it closes escrow.This very well maintained 2,074 square foot, one-story home sold for 420K over 10 years ago. (Remember you can click on the address in blue for more details). This is the second home under contract which is a good start to 2016. As always email me (Donna@DonnaAnderson.com) or call me (520-615-2598) for all your real estate needs! 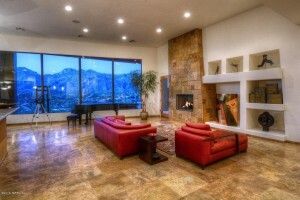 There have only been four Sabino Mountain homes that have been listed for sale that have sold in the past six months. The final sales prices were 355K, 357K, 430K and $1,450,000. There is one home that is under contract and is listed by Tierra Antiqua Realty with a List Price of 345K. There is no question about it that this is one of the slowest periods we have seen in Sabino Mountain history. It is imperative that those who are contemplating selling chose an experienced agent who knows Sabino Mountain and, of course, list it at the right price right from the start. If you are thinking of selling your home, give me a call at 520-615-2598. I have sold 15 in our neighborhood and have over 30 years experience! Sabino Mountain is a beautiful gated community of almost 300 homes that was one of the last built communities in the Catalina Foothills. I hope you will visit it! Sabino Mountain has 9 homes for sale and every one of them has seen price decreases (some have seen multiple price decreases). The two I sold last year and the other one my company-Russ Lyon- Sotheby’s International Realty sold saw no price drops. We priced them right from the beginning leading it to sell at a higher price than a house that lags on the market and, of course, they sell quicker. A good market analysis coupled with a motivated Seller insures a property is priced correctly right from the start. Lately I notice that it is rare that the listing agent holds the house Open. I hold my listings Open at least once a month. Who knows the house better than the listing agent? Houses that have been on the market for a long time get stale making them harder to sell because they are perceived as less attractive than newer listings. It is easy for the buyers to see how long the house has been on the market even if it has been re-listed for sale at a later time. Last year Sabino Mountain lagged behind 2014 with 30% fewer sales. Much of it was because houses were not priced well right from the start. And some –when it was very obvious that the house needed a price decrease– waited too long to lower the price. Another tip–it is not good to list your house when there is a lot of competition on the market of a home like yours. There are no one-story homes listed for sale that are Pepper Viner built and there are no listings in the 410K-800K price range. If your house fits in either category, it would be a good time to list now. There are no homes listed above 835K. The higher price range is challenging but if you are motivated and aggressively price your luxury custom home for sale, it does sell. Catalina Foothills homes priced above a million saw a 30% decrease in the number of sales from 2015 versus the year before. It is important to list your house with an agent who has a lot of experience and who knows Sabino Mountain well. Give me a call at 520-615-2598 if you are contemplating selling your home in 2016. As we enter the best selling season of winter I thought it would be a good idea to tell you what homes would really benefit from selling now. Call me at 520-615-2598 or email me at Donna@DonnaAnderson.com if you are thinking of selling in 2016. 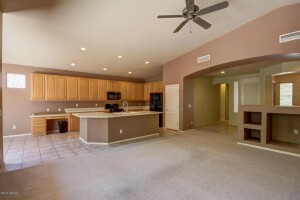 As many of you know I have lived in Sabino Mountain for 12 years and have sold 15 in our community. I am passionate about selling our beautiful community that is a rare paradise! 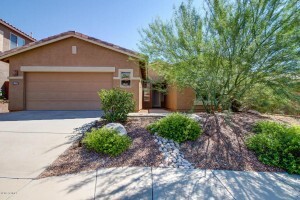 If you are interested in any of these homes, I am a phone call away at 520-615-2598. Sabino Mountain has one of the most magnificent community sites in all Pima County with views of multiple mountain ranges including the high Santa Catalinas and views to the sparkling city lights at night. It is a gated community of almost 300 homes with price ranges from the low 300 thousands to just less than a million (at the present time there are no million+ homes for sale but we do have quite a few of them). Come experience nature’s beauty at its best at beautiful and inviting Sabino Mountain! You are currently browsing the Sabino Mountain Blog blog archives for January, 2016.